The days and days and days of cloudy, gloomy, cold, rainy days are getting to me. I want to spring clean my house but it seems as if spring just doesn’t want to come this year. Without sunshine to see the sparkle of clean what good is it? This time of year people should start putting on sunscreen and working outside. I can’t seem to keep myself motivated to do anything and I know it’s because I need sunshine! Come on Mother Nature, wake up and give us some better days. 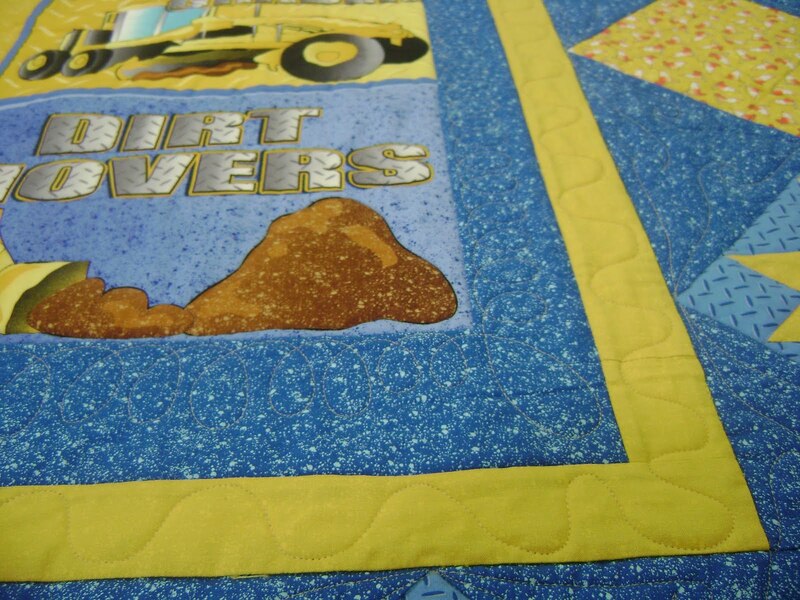 Well anyway, I do have a quilt finished. The last one was picked up without any problems. He actually gave me extra money as a tip because he was very pleased with it. Here’s the next one. 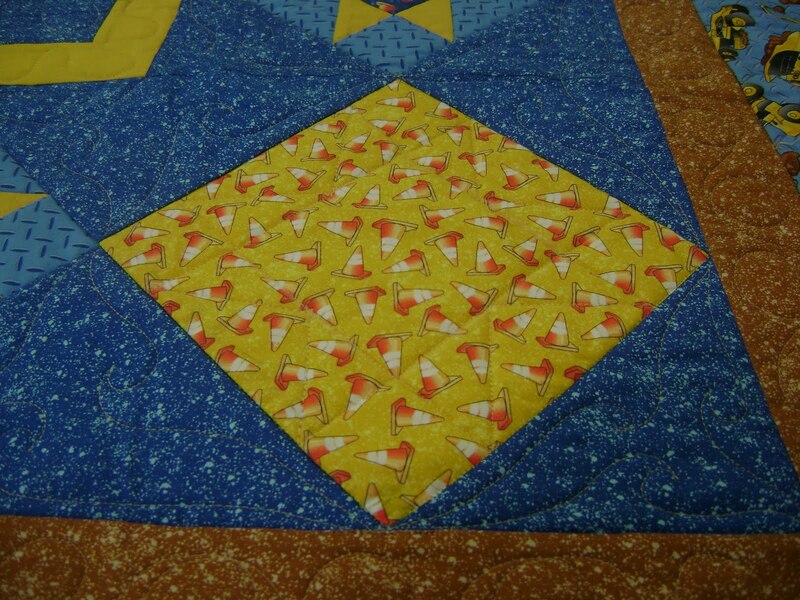 This is the one I quilted as a trade for a printer. I don’t know if you can see the stitching but I did a star on these blocks. 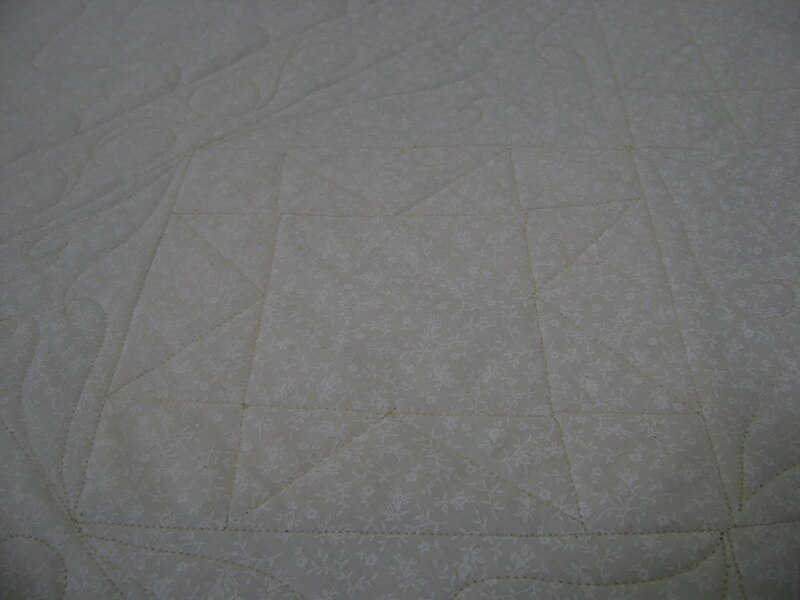 The star on the plain block is a duplicate of these blocks which are simply stitch in the ditch quilted. I did a wavy panto on the border using my Circle Lord template. The center area is simple outline of the words and the trucks. 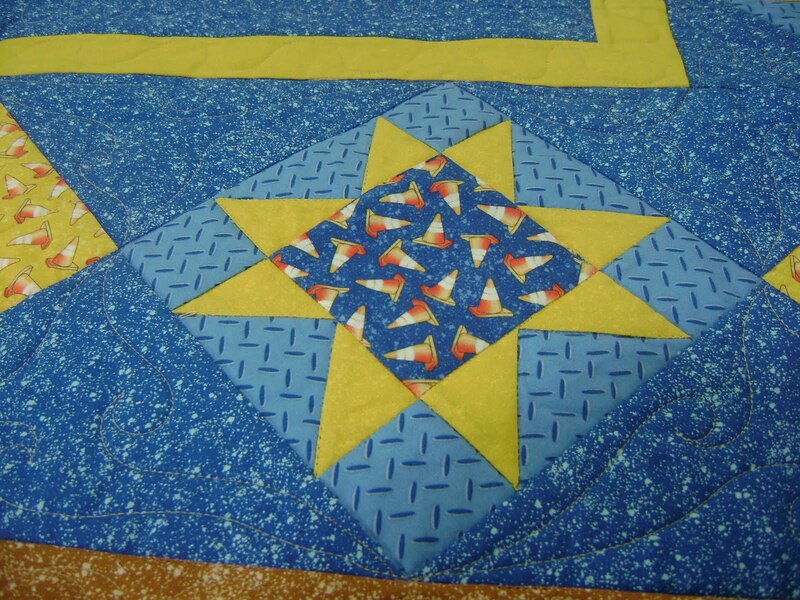 Wavy lines on the sashing strips and line dancing on the blue blocks. 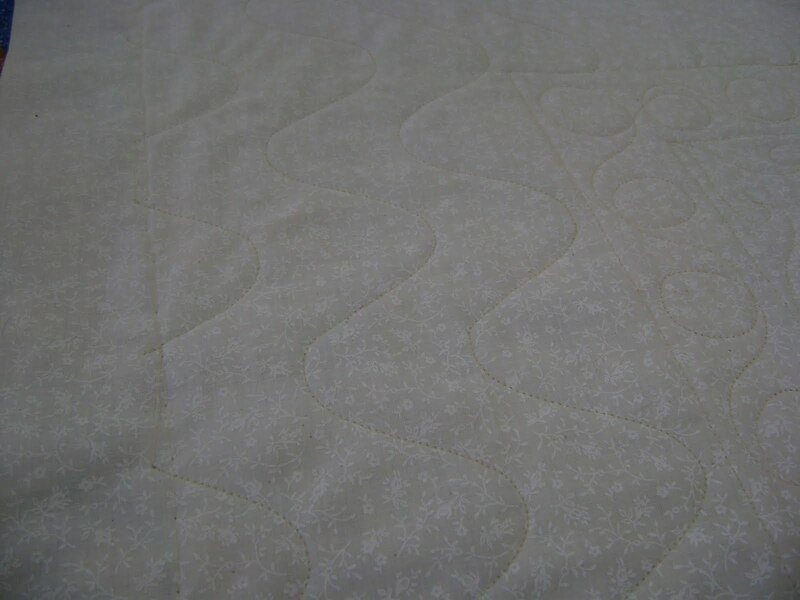 Since this quilt is for a child to wag around and play with she didn’t want a lot of heavy quilting on it. I agreed, it didn’t need a lot. 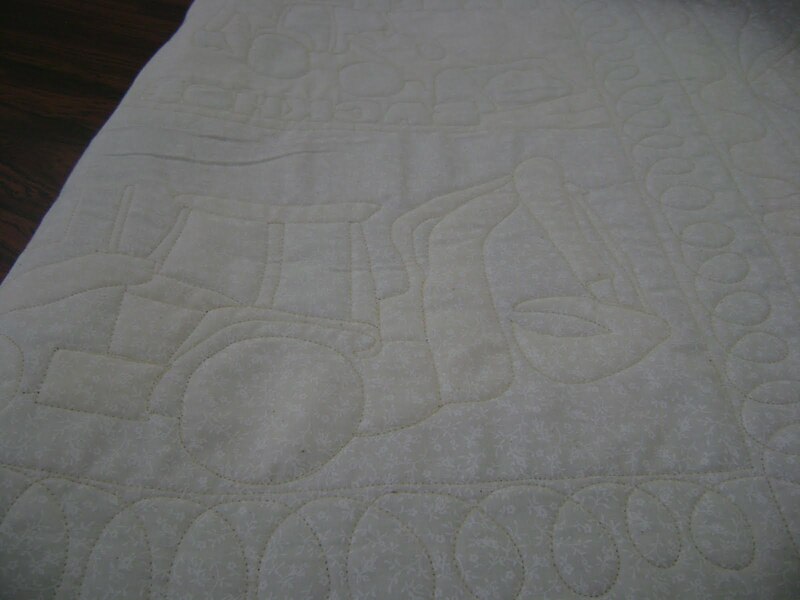 Turning it over to let you see the back of the quilt. The stars I stitched. The wavy lines on the border. The line dancing of the blue blocks. The outline of the trucks. 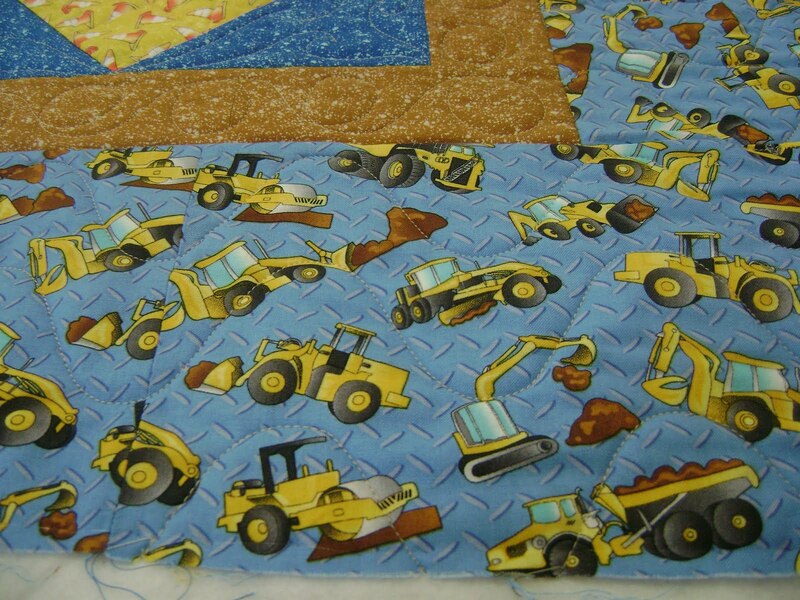 The next quilt is on the machine. It is due to be picked up on Friday. The studio is dark and gloomy because it’s raining and cold again today. Will sunshine ever arrive??? 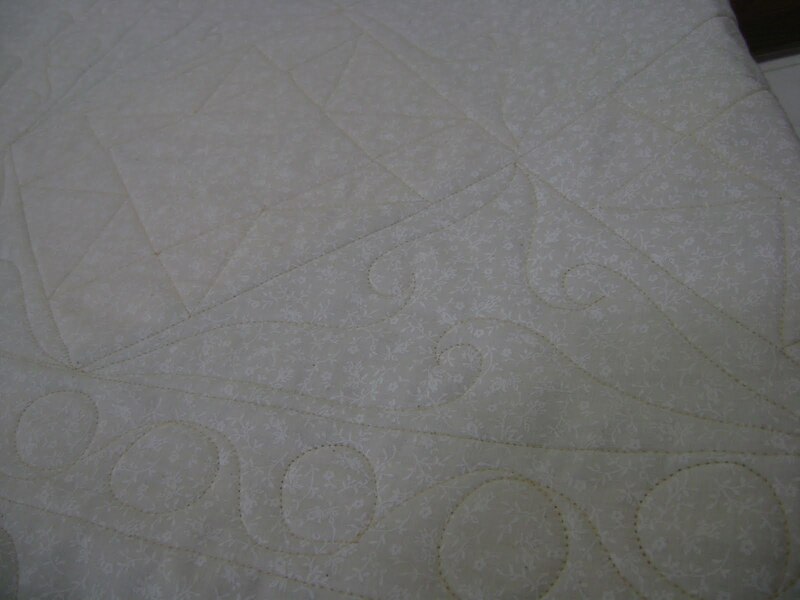 Anita, I couldn't be happier with this quilt. You did a super fantastic job. Now I need to get myself in gear and get the binding on it! When I think of the bartering I believe I got the better end of the deal! Thanks so much! It's raining out here in CA this morning. Last summer we didn't actually have summer– just grey cool days and very little sun. Sure hope this year is better. 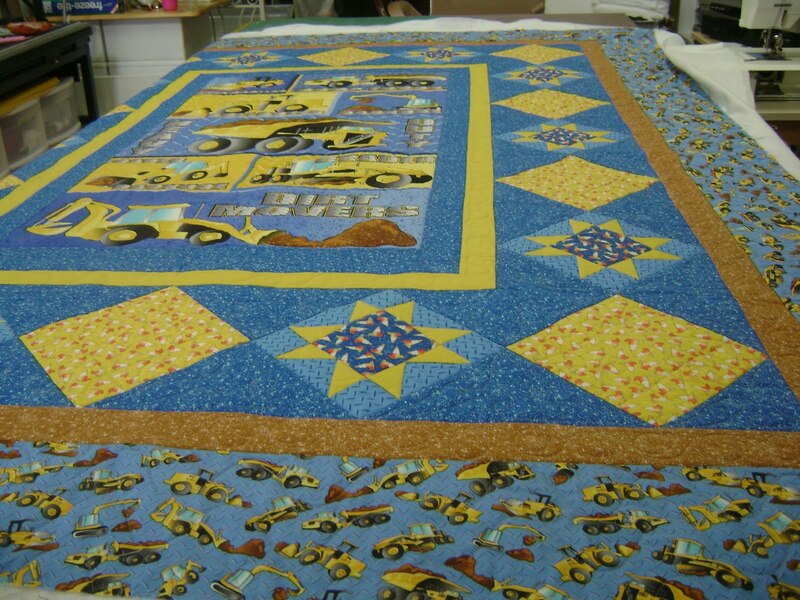 This entry was posted on May 18, 2011 by Anita in Circle Lord quilting, Quilts of 2011.